Spinel is a name of Mixed Ore of Magnesium(Mg) and Aluminium(Al), its molecular formula is MgAlO4 (MgO.Al2O3). Here Mg is in +2 oxid. state and Al is in +3 oxid. state. X = O, S, Se etc. They have Face Centred Cubic (CCP) structures. The A+2 ions occupy the octahedral voids, whereas half of B+3 ions occupy the tetrahedral voids. It can be represented as: (B+3)tet(A+2B+3)octO4 E.g. Fe3O4 (ferrite), CoFe2O4, NiFe2O4 etc. Here Mn3O4 exist as Mn.Mn2O4, therefore Mn exists in +2 and +3 oxidation state. If both A+2 and B+3 are non transition metals then spinel will be NORMAL. If A+2 is Non transition metal and B+3 is transition metal (having d1 d2 d3 d4 d6 d7 d8 d9) then spinel will be NORMAL. If is transition metal with (d1 d2 d3 d4 d6 d7 d8 d9 ) and B is also transition metal with (d0 d5 and d10) system then spinel will be INVERSE. 1) MgAl2O4 is a normal spinel since both the divalent and trivalent ions are non transition metal ions. There is no question of CFSE. 2) Mn3O4 is a normal spinel since the Mn2+ ion is a high spin d5 system with zero LFSE. Whereas, Mn3+ ion is a high spin d4 system with considerable LFSE. 3) Fe3O4 is an inverse spinel since the Fe(III) ion is a high spin d5 system with zero CFSE. Whereas the divalent Fe(II) is a high spin d6 system with more CFSE. 4) NiFe2O4 is again an inverse spinel since the divalent Ni2+ (a d8 ion) has more CFSE than the trivalent Fe3+ (a d5 ion). 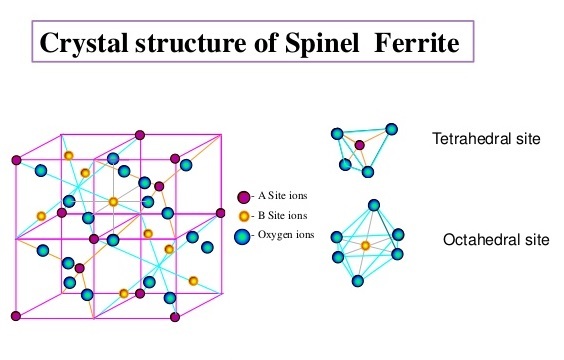 5) FeCr2O4 is a normal spinel since the divalent Fe2+ is a high spin d6 ion with CFSE = 4 Dq and the trivalent Cr3+ is a high spin d3 ion with CFSE = 12 Dq. Hence Cr3+ gets more OSSE while occupying octahedral sites. 6) Co3O4 is a normal spinel. Even in the presence of weak field oxo ligands, the Co3+ is a low spin d6 ion with very high CFSE. It is due to high charge on Co3+. 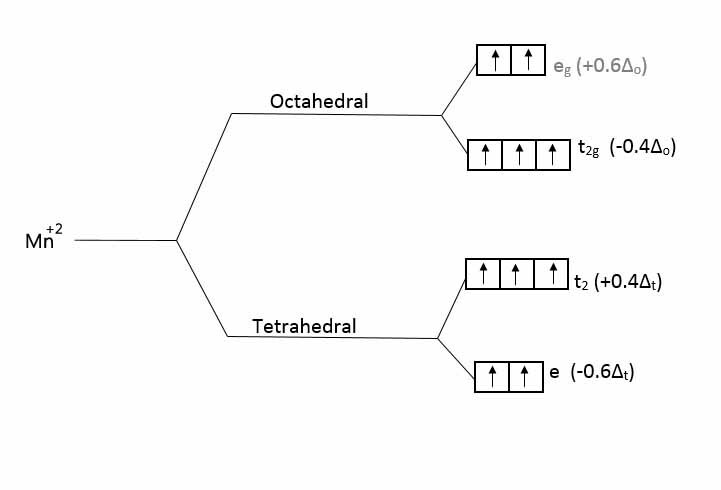 Hence all the Co3+ ions occupy the octahedral sites. NiAl2O4 for which the formula can be written as (Al0.75Ni0.25)tet [Ni0.75Al1.25]octaO4 is a Random Defected Inverse Spinel. The CFSE of NiII is greater in octahedral than tetrahedral coordination. 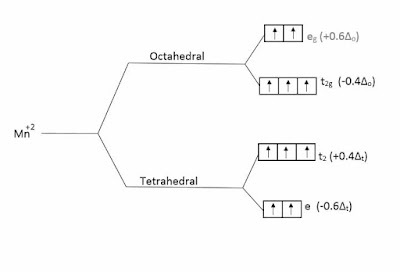 But Al3+ also has strong preference for octahedral sites due to high lattice energy. This leads to almost complete randomization of all the cations on all the available sites. Its formula can be written as (Al0.75Ni0.25)tet [Ni0.75Al1.25]octaO4. 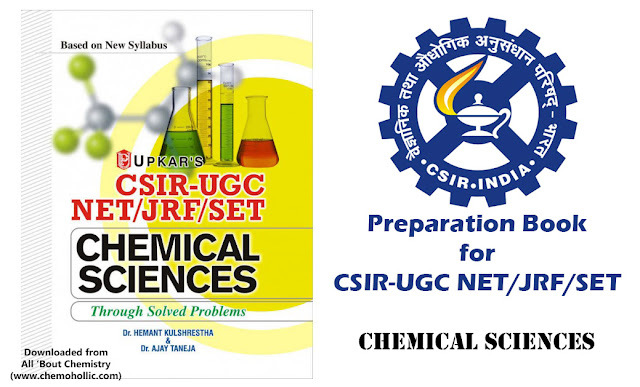 Post has been updated with pdf download link. Now you can download this post as well..